Cane toads have wrought havoc on Australia’s indigenous animals. It is in the 1930s, these toxic amphibians have been brought to the country from Hawaii to help eradicate the cane beetles. Since then, it is spreading in plague-like numbers across the tropical Australia. Presently, the tropical Australia is plagued by as many as 100 million cane toads having a devastating impact on native wildlife. 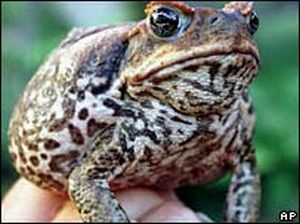 To stop this devastating invasion of cane toads, officials in Western Australia have called for the deployment of army. The army is expected to intercept these lethal pests as their advance continues. The toads have reached the Northern Territory, the outskirts of Darwin. With much of Western Australia’s interior, being inhospitable and inaccessible, the military resources could be invaluable.